The global tourism industry has huge economic importance. It contributes 10% of the world’s gross domestic product and 6% of exports. One billion people a year travel somewhere in the world. Africa’s natural and cultural points of interest give the continent tremendous tourism potential. This shows in the numbers. In 2015, the sector generated USD$ 36 billion in Africa (7% of all exports in the region), up from USD$ 10 billion in 2000. Travel and tourism also directly supports 466,000 jobs. It’s expected that by 2030 the number of tourists will reach 134 million annually. But African countries’ tourism industries are often constrained by a lack of infrastructure development, air connectivity and financing. Ethiopia, in East Africa, is an example. The country has immense natural, cultural and historical attractions, but is a largely untapped tourism market. It suffers from a lack of infrastructure and the negative publicity the country received after the famine in the 1980s and various conflicts. It needs to make a big effort to market its potential and develop the measures to support the industry. Ethiopia’s tourism sector showed a steady increase in the last decade. International tourist arrivals rose from 64,000 in 1990 to 680,000 in 2013 and are expected to reach 815,000 by 2024. This 2024 figure would mean a contribution of USD$2 billion to the country’s GDP. Over the next five years the sector is expected to create over a million jobs, or 3.6% of total employment. Comfortable hotels play a vital role in attracting tourists. After the fall of the communist government 27 years ago, Ethiopia started privatising most of the state owned hotels and tourism establishments. To support this, the government adopted a policy that allows duty-free imports of hotel furniture, fixtures and equipment. It also provides for favourable loans to investors for the construction of new rated hotels. But, while the hotel industry is growing, the number of available hotel rooms is still the lowest. In terms of room availability, Ethiopia is globally ranked 134 out of 140, compared to Kenya, Uganda and Tanzania at positions 122, 121 and 118 respectively. Furthermore, there are few hotels of an international standard, and many are old and unattractive. Infrastructure to support the hotels is lacking. There are no zoning policies to establish the areas where hotels should be constructed, or tourist activities to complement them when they are built. 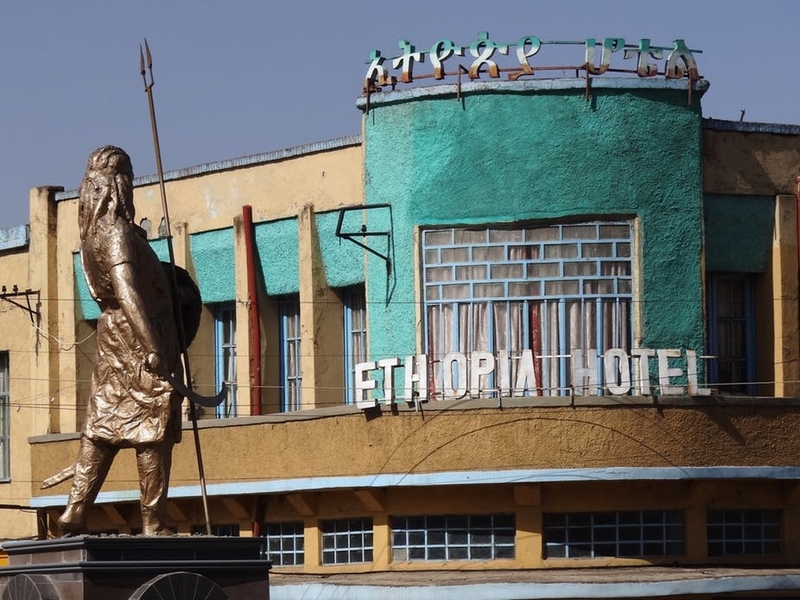 Until recently, Ethiopia did not have enough hotels recognised under international rankings or ratings – they generously awarded themselves their own stars. This made it hard for visitors to judge the quality of a hotel. This changed in 2015 when the Ethiopian government, with the help of World Tourism Organisation, started rating hotels in the country. Though participation in the grading process is mandatory, the graded hotels still haven’t undergone annual audits to ensure they’re keeping up with the standard they were awarded. Ethiopia also only has six internationally branded and managed hotels. This is a very low figure bearing in mind that the average number of tourists per year is nearly 700,000 and these six hotels have a combined total of less than 1,500 rooms. By comparison, Nairobi in neighbouring Kenya already hosts most of the international hotel brands – and expects 13 more to open their doors over the next five years. There are also only three five star hotels in Ethiopia and the majority of the “rated” hotels which guarantee a certain standard of service are situated in the capital, Addis Ababa. Other hotels, rated only by online travel agents based on the guests’ comments and with fewer than 100 rooms, are scattered throughout major towns. This is a problem because most of the tourist attractions are located in the countryside. There is also a scarcity of budget facilities, like youth hostels, to cater for budget travellers and backpackers. Another major issue is the hotel structures. After the fall of the communist regime, from 1995, Ethiopia started privatising. Over 287 enterprises were transferred from the public to the private sector – out of which 34, or 11.8%, were hotels. The aim was to improve economic efficiency, stimulate the private sector and mobilise more foreign and domestic investment. However, the process has been weighed down with problems which include; corruption, loss of jobs and a lack of ownership and transparency. The state retains control of many of the most valuable assets in the sector. These are not well maintained, as they are about to be privatised. For example, Addis Ababa’s Hilton hotel, completed in 1987, now needs urgent refurbishment. Finally, the hotel industry needs to be supported by tourism infrastructure. It needs physical facilities like car parks, sewerage and water works, transport projects and roads. These have to be based on zoning policies, to establish where the hotels should be built. With the exception of Addis Ababa, there are also hardly any offerings of recreational or entertainment activities like parks, concerts or cinemas. And there are logistical gaps like the lack of adequate ATM machines and foreign exchange bureaus outside Addis Ababa. This means visitors need to carry large amounts of cash in local currency, which is inconvenient and unsafe. To spur tourism growth and development, Ethiopia must improve the hotel industry and the infrastructure that supports it. It will take the cooperation of all stakeholders – government, hotel professionals, hotel owners and hotel trade associations – to achieve a competitive and sustainable sector. 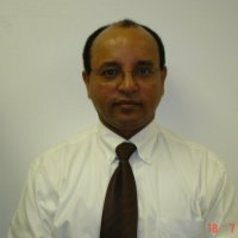 Orthodox Tefera does not work for, consult, own shares in or receive funding from any company or organisation that would benefit from this article, and has disclosed no relevant affiliations beyond their academic appointment.